is a quest for health through a natural way. and return you to normal function as soon as possible. Everyday, every minute, your body is degenerating, breaking down and also healing and repairing itself. If the rate of break down and degeneration exceed the rate of repair then you are getting sicker. If the rate of healing and repair exceed the rate of break down then you are healing and moving towards wellness. The nervous system is the system that controls and regulates your body’s functions. Without a properly functioning nervous system your body cannot stay balanced, cannot heal nor move towards wellness. 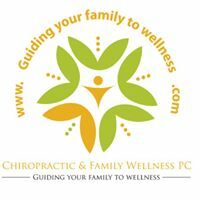 Chiropractors check the nervous system for irritations and interference. We are trained in improving the function of the nervous system and stabilizing your spine. This allows your body to heal and repair itself. Pain is an alarm that your body sound to inform you that something is injured. Pain is a symptom of something going wrong. Patients often get pain when their nervous system is not functioning as it should. A Subluxation Complex is the term chiropractors use to explain the consequences of an improperly functioning Nervous System. 1- The nerve is irritated causing pain and abnormal signals to your organs. 2- The joint mechanics are abnormal resulting in joint degeneration, arthritis and pain. 3- The muscles are weakened, spastic, tight and painful. 4- The tissues around the nerves are inflamed, swollen and painful. 5- The organs receiving signals from the irritated nerve malfunction and suffer. In our office, we focus on fine tuning your nervous system to optimize its function and to allow your body to heal, regulate and balance itself.